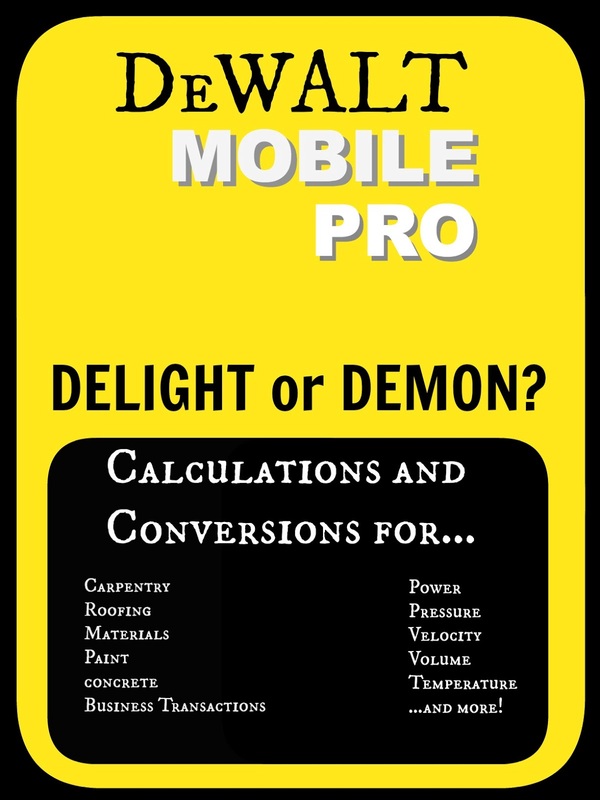 evangelizing the (digital) natives : DEWALT Mobile Pro iPad Calculator - Demon or Delight? DEWALT Mobile Pro iPad Calculator - Demon or Delight? Note: I have no affiliation with DeWalt - I just love calculators! This is either the best thing to ever happen to tech school, shop/engineering courses, and applied mathematics, and maker spaces or it will go largely ignored in education. There is so much loaded in this app! 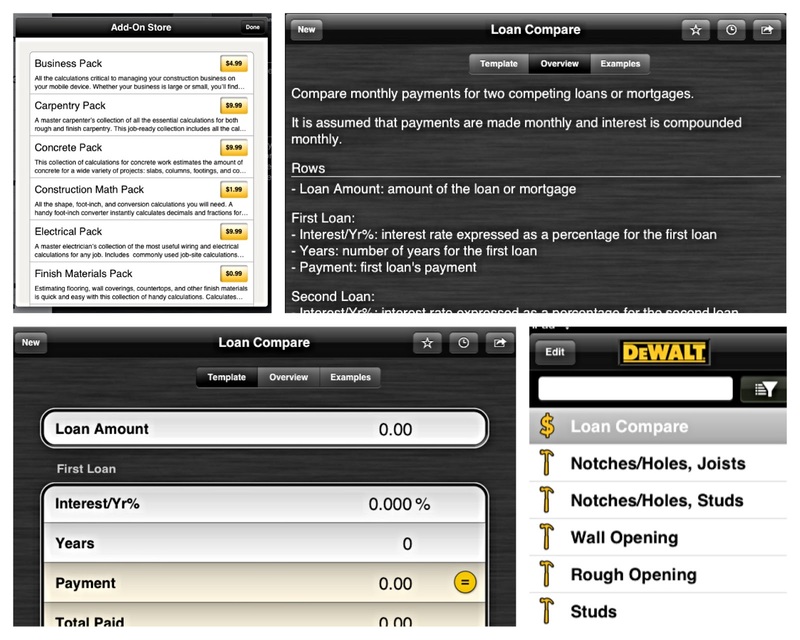 It opens right to the main content screen and you find a scrolling menu on the lefthand side that seems to have all of the calculating options. "Hmm. Pretty extensive," you think. "Wonder when I'll get to the in-app purchases." And then you keep scrolling. And keep scrolling. I wasn't going to list all of the functions you get for FREE in the app because it's a long list, but look at this! This list does not even include the more specialized electrical, business, concrete, carpentry, landscaping, etc packs that you can add on. Much like when students still need to know what to put into formulas on exams when they have formula sheets (statistics, geometry), whoever uses this calculator must still have a brain and know what they're entering into the template and why. If your goal is to assess students' memorization of facts and figures and hand calculations, then this app isn't for you. I were teaching engineering, electronics, or technical courses, I without a doubt would want my students to download this calculator to their favorite devices. If you are a math or science teacher that wants to explore more project-based learning, this app would answer a ton of your "what do we need to know" questions. If you aim to get your students solving real problems and applying real principals to their problem-solving toolbox, you should give this a try.